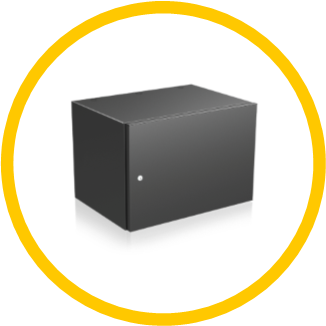 Global Data Burst (GDB) has combined its expertise in satellite paging with its knowledge of conventional paging to produce a unique product that brings together the best features of both technologies. 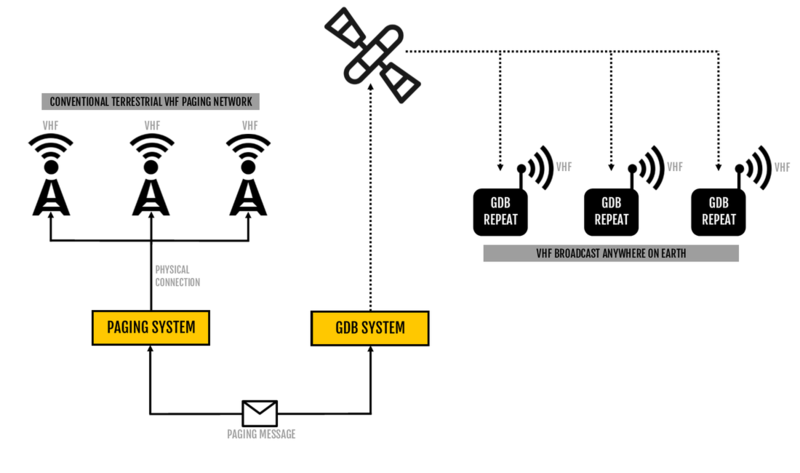 GDB Repeat allows standard, low cost VHF pagers to receive messages anywhere on earth! ​Our system accepts a conventional paging request, broadcasts it by satellite to one or more GDB Repeat units on the ground where it is re-transmitted as a conventional VHF paging message. GDB Repeat is also ideally suited to setting up new networks and eliminates the need for any ground-based telecoms services. GDB Repeat can be installed easily and become operational quickly. If environmentally-friendly power sources are used (solar cells or wind turbine), there are no constraints on installation location.